It's no surprise that born and bred New Yorker, Jessica, is a firm believer in 'Chic Minimalism.' The real surprise? How attracted we, a couple of 'more is more' magpies, are to the collection. Sleek and smooth metal pieces, with the occasional pop of colored pavé are the perfect counterparts to the minimal, and typically neutral (read: black) wardrobes of the New York chick. On the flip side, we like the effortless designs to combat all of the, um, non-traditional garb/sequins and beads we tend to hoard. Who says you can't please everyone? What's your idea of ultimate luxury? A private plane at my disposal. Let’s have dinner at your favorite neighborhood restaurant. Where do we go and what do we eat? Rao's has been in my life since I was a child. I feel at home there and have so many memories. The staff are like family and the food is exceptional. I always have a soup, escarole and bean, orecchiette with broccoli rabe, shrimp Parmesan, lemon chicken and the best salad on the planet. 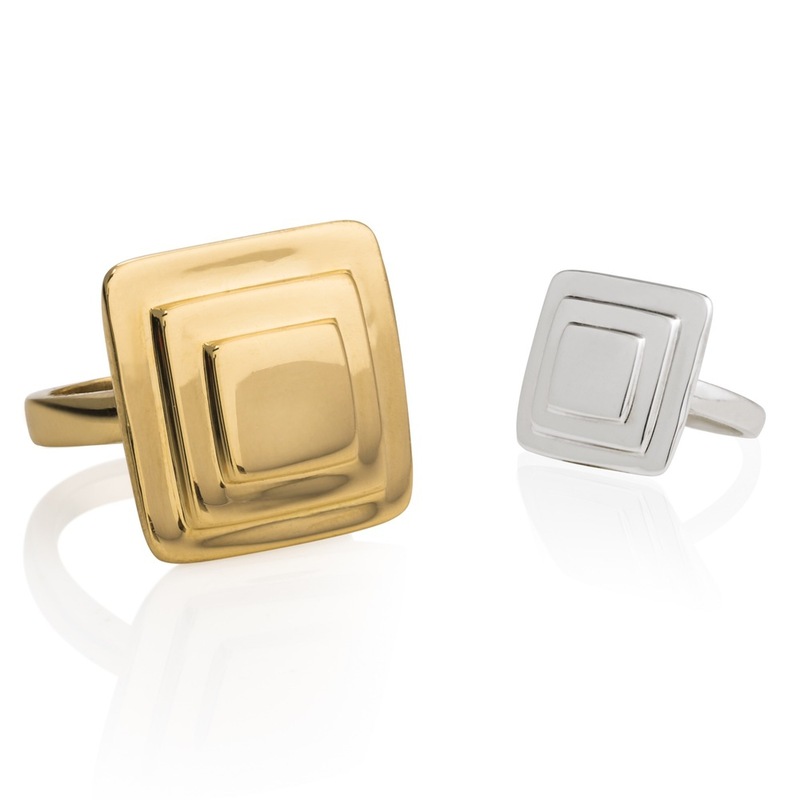 If you could buy any piece of contemporary jewelry from another jeweler, what would it be? A ring from the Turkish genius, Sevan Bicakci. They are absolute masterpieces. With inverse intaglio, he creates a world in the stone. Either an elephant or a scene of Istanbul, a city dear to my heart. If you could orchestrate the perfect first date, what would it entail? Chemistry at a charming restaurant with excellent food and wine. What’s the best movie you saw in the last six months? Netflix series Grace and Frankie. Lily Tomlin is phenomenal. The gemstone you’re currently lusting after is . . . I've always been drawn to sapphires, but diamonds are not bad. What's your favorite holiday and why? I love Thanksgiving at family's old stone barn on the Choptank River on the eastern shore of Maryland. The food is crazy good and the setting is pretty special. What’s your favorite piece that you made in the last year and why? My Ballad Hoops. They are inspired by David Smith sculpture. I am thrilled with how they turned out. Off they look interesting but on I think they are so cool! You have 30 minutes to work out – what do you do? Put my running shoes on and go - I run along the East River. What was the first piece of jewelry you bought for yourself? If you could have dinner with any artist, living or dead, who would it be and why? Alexander Calder. The person who invented the mobile. He must have seen the world with such wonder. His mobiles, stabiles, wire sculptures and jewelry are just magical. What's the most sentimental piece of jewelry you own and tell us the back story. A bracelet my father gave me on my 18th birthday. When my Dad died almost 7 years ago, I added his cuff links to it. My Dad was my best friend. I miss him every single day and I never take off the bracelet. I carry something of his with me all the time. Mountains, sea or city? Why? The sea. I love the sound of the waves, the air, the light, and collecting shells and stones. Also the sleep near the ocean is just perfect. Top 5 bands in your playlist - go! I've been listening to Jamie Cullum on Pandora every day lately. All the artists that come up are great. You’re having guests for the weekend. What’s your signature dish that you cook? My chicken bolognese sauce with pasta and Caesar salad with extra garlic (beware). Be honest – who’s your celebrity crush?! It hasn't been designed yet! But, closest is Longchamps Le Pliage, Large Travel Bag in black. If you could sit front row at any fashion show, which would it be and why? Dries Van Noten - I have loved his pieces for years. Hard to call them clothes, it is almost artwork. 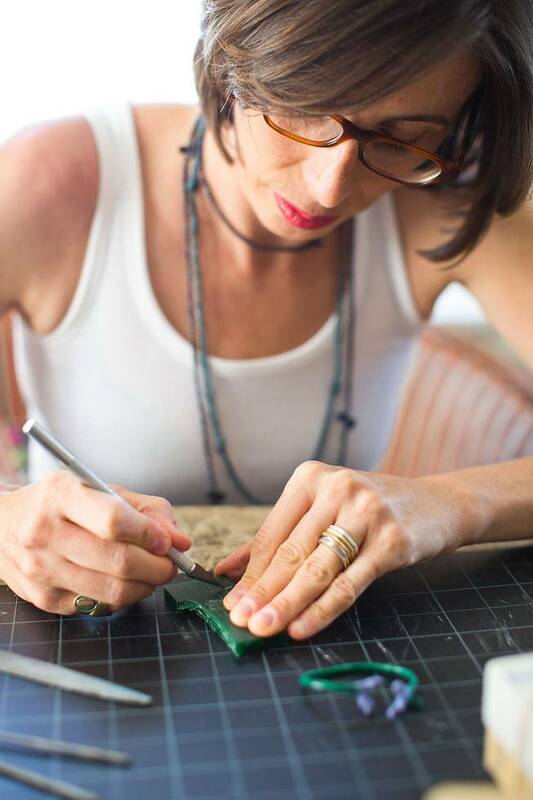 If you could be anything other than a jewelry designer, what would it be?